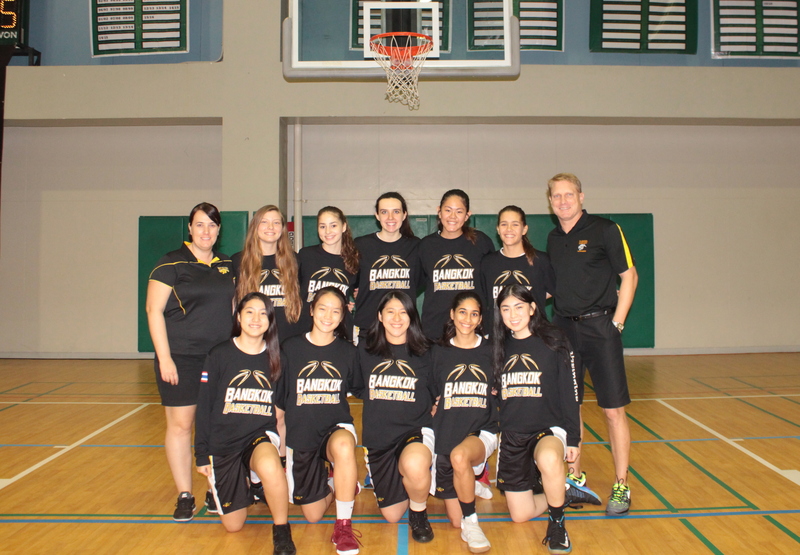 Amongst the throngs of IASAS teams resting in the canteen or the players’ lounge, you may have spotted a stuffed bunny rabbit in a small pink baby carriage at the feet of the International School of Bangkok athletes. This bunny is part of a long running tradition for the ISB boys, where the freshmen are in charge of looking after it over the course of IASAS. 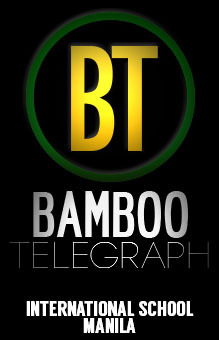 This team is jovial, positive and have created a supportive atmosphere. The players cheer each other on during games and the coaches are proud. “We want the kids to get better, have fun, and if they win some awards along the way that’d be awesome,” says Coach Armitage. ISB is determined and relentless on the court, which is evident every game they’ve played so far. So don’t let their geniality fool you; the Panthers are definitely a school to look out for! 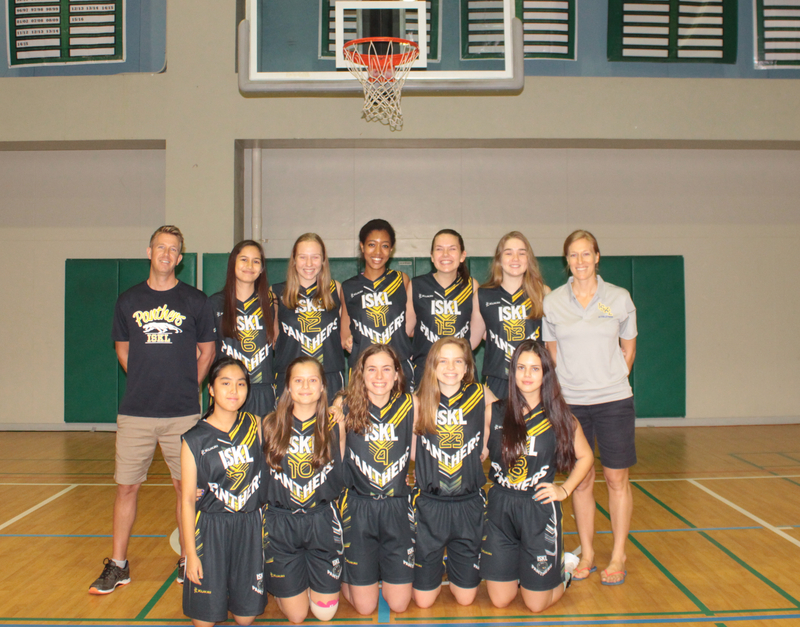 The International School of Kuala Lumpur Panthers are more than ready for IASAS. With both teams being very young this year, the Panthers are feeling very optimistic about their chances in this year’s tournament. The ISKL teams are also extremely supportive of each other. There’s no doubt that you have seen the boys cheering on their girls during their games and vice versa. Exhibiting this spirit and sportsmanship is a big quality of the ISKL Panther teams. Make sure to catch the KL Panthers battling out on the court to see the potential of the young teams that made it here to IASAS! That highlights how the team manages to stay focused on the game in the midst of loud cheers from the Bearcat community. Furthermore, she stated that their “solid team bond” is a contributing factor in helping them deal with the immense pressure and expectations from fellow Bearcats, friends, and family. He also added that “in order to pump ourselves up, we sing songs out loud” before their games. When asked about their hopes and expectations from this season, Karin stated, “Since most of our teammates are seniors, we hope that they will leave with no regrets after this IASAS, and hope that this will be one of the most memorable IASAS events for them.” Aaditya shared the same sentiment, as he says the team wants to “make sure we do our best and give our seniors a great sendoff.” Of course, they are optimistic at the prospect of getting that elusive gold. The determination for winning gold, as well as the added support of a home crowd, makes ISM certainly a team to watch out for in the competition! 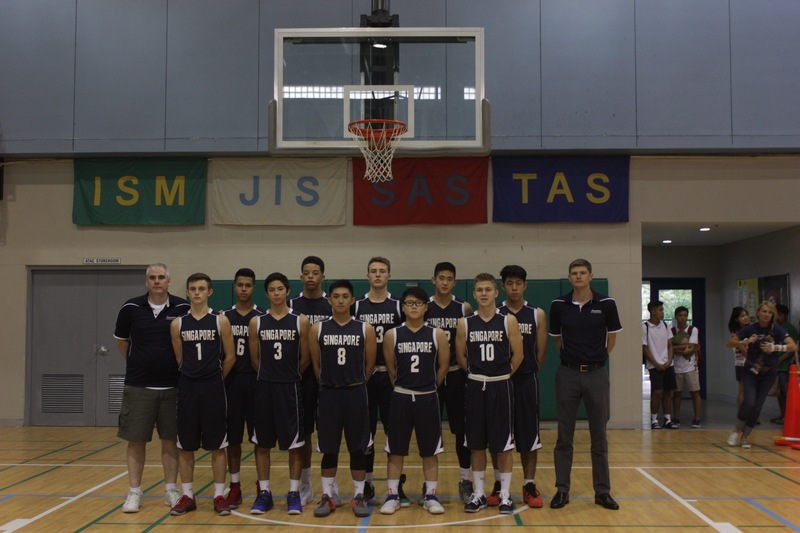 In basketball, ISM has faced stiff competition from other IASAS schools in the past, from longtime rivals at other sports, such as SAS. 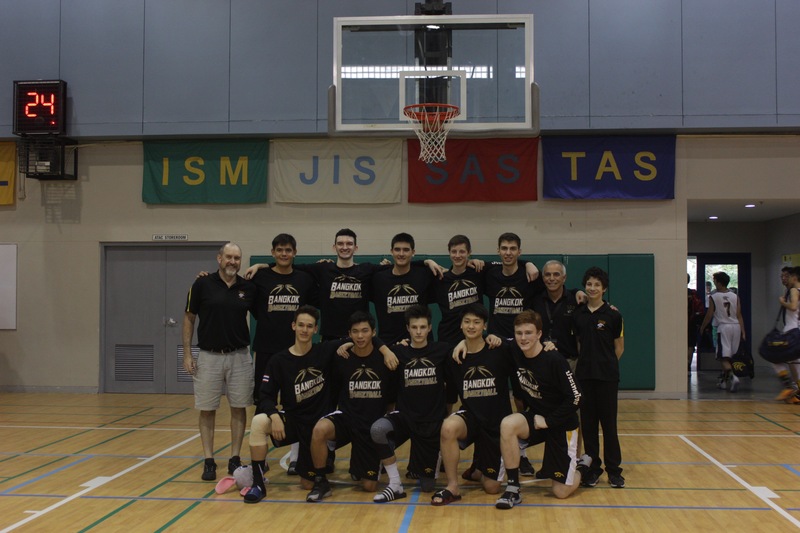 But this year, at the end of the tournament, the boys basketball team of Jakarta International School managed to come out on top after a harrowing game, and flew home with the gold medalists. 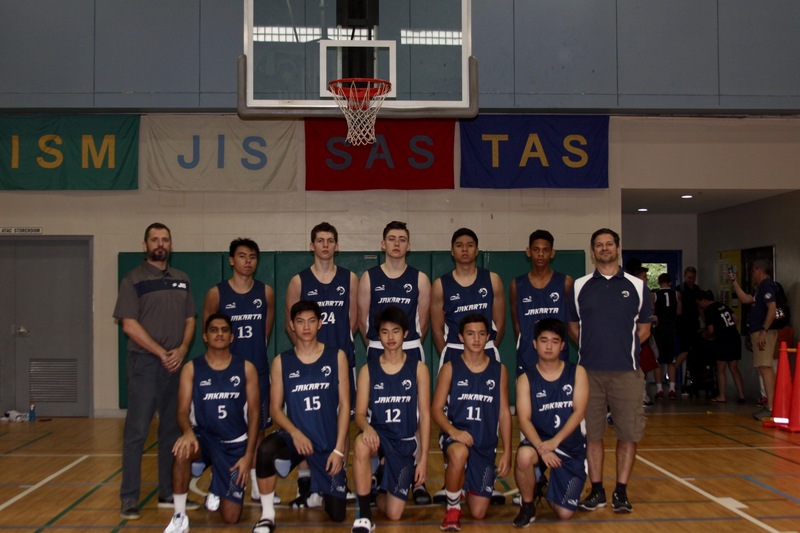 JIS’s boys basketball team has long been competitive on the IASAS scene and have been steadily on the way up, earning bronze medals in 2014 and 2015, silver medals in 2016, and finally making the leap to gold in 2017, just barely scraping by and defeating SAS by 1 point in a 59-58 lead in the finals of the tournament in a nail-biting display of perseverance. 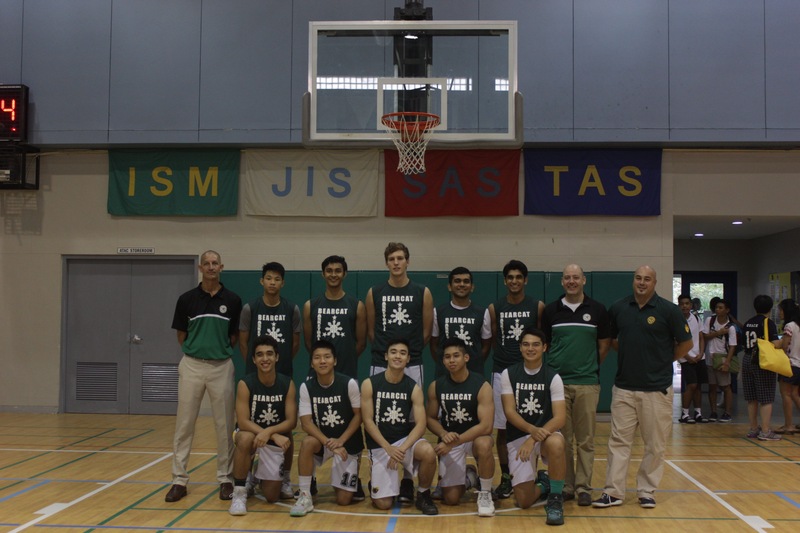 The team’s success was attributed by ISM’s own player Soham Mall largely to their best players, two members of the class of 2017, Garrett Pashen and Nathan Sutrisno. Pashen and Sutrisno are also credited with the final game-winning play in the championship round, with Pashen taking a shot that missed the net, but with Sutrisno managing to catch the rebound and sink the shot, bringing the score from 59-57 and eventually winning them the game. 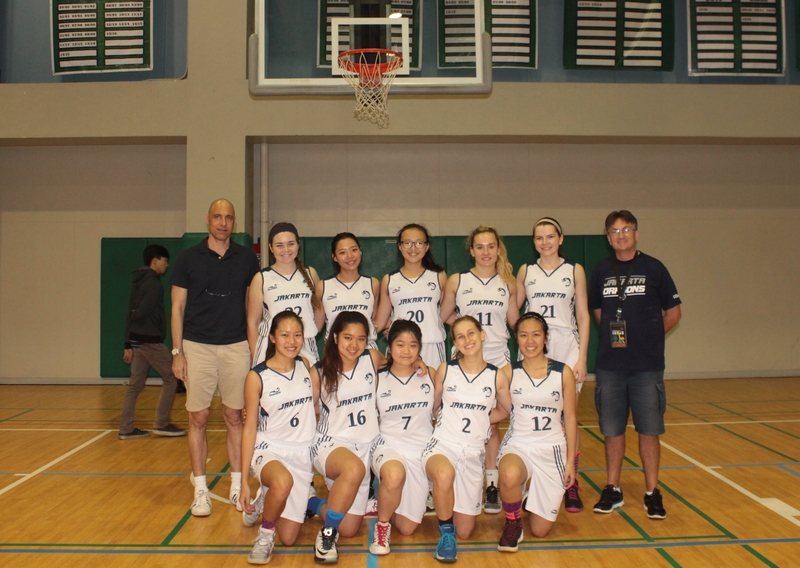 Meanwhile, JIS girls team, despite ending in sixth place, put up a considerable fight as well. 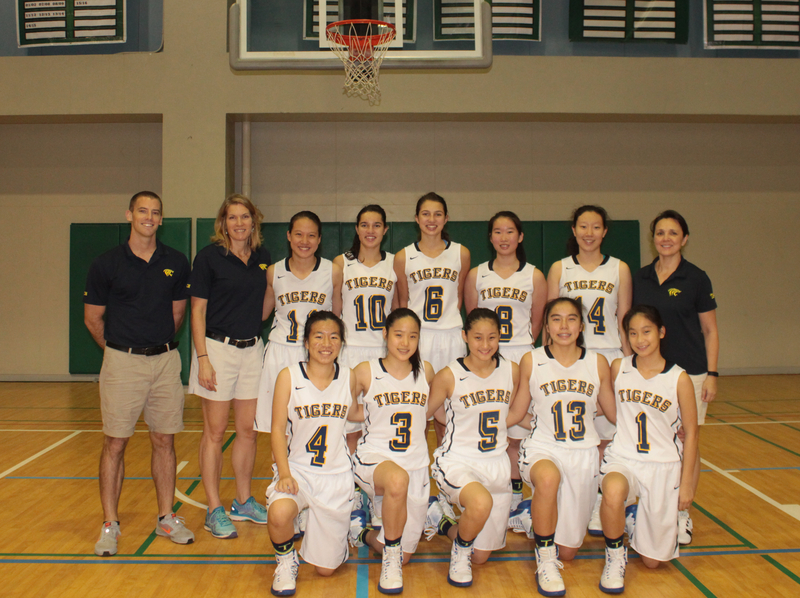 According to 4-year veteran ISM baller Selina de Dios, the reason for the team’s relative lack of success this year lay in the fact that the team was under “heavy construction.” She claimed that the JIS girls basketball team last year had a large amount of seniors, enough to severely impact the team negatively when they graduated, and that many of the new players did not have the experience on court that the teams of other schools, such as ISM’s own girls team, which this year includes four players who have been on the team since freshman year, may have had. She finished by anticipating a much stronger team in the next few years, as the players gain more experience and training and become determined to recoup victory. From JIS’s status this year, it seems as though the competition will never cease, and can only rise as new batches of high schoolers join the fray. 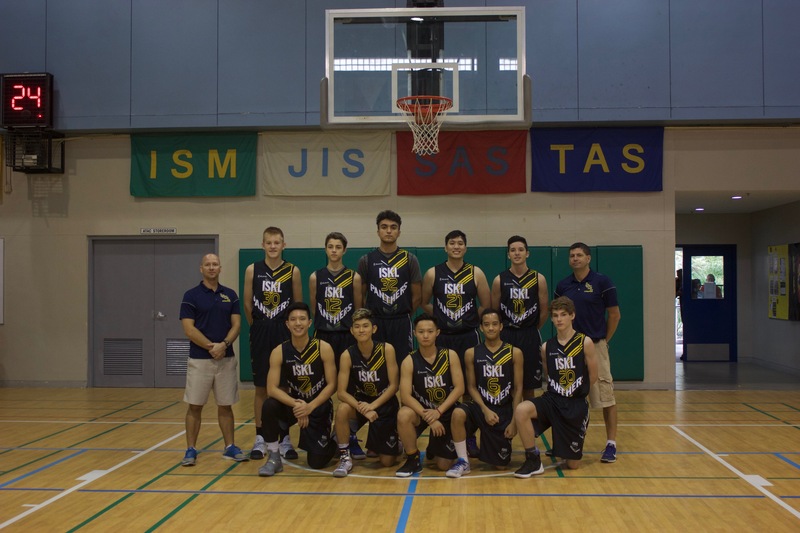 The future of IASAS basketball for ISM relies on our ability to recognize this, and push ourselves even harder in the never-ending road to victory. Congratulations to the Dragons, and go Bearcats! 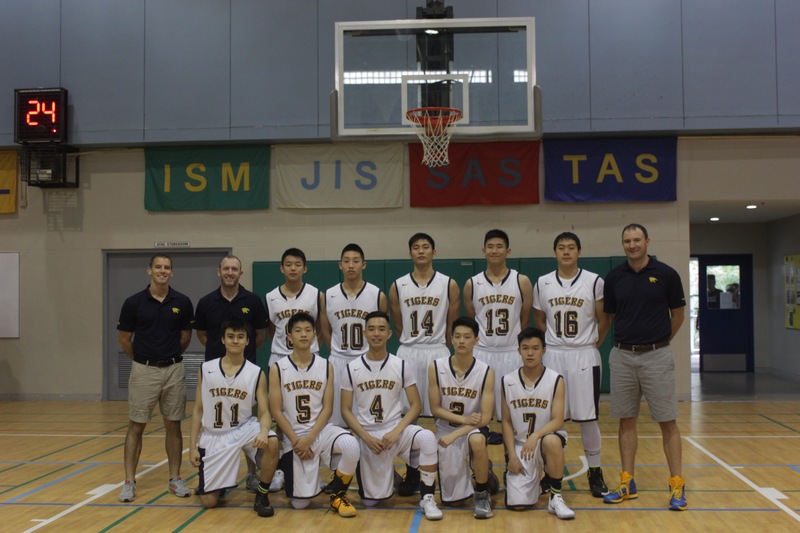 The Taipei American School Tigers is a team of energetic and enthusiastic players full of determination to play well. However, unlike the charisma they show on the court, off court they are a team full of laughter and jokes. 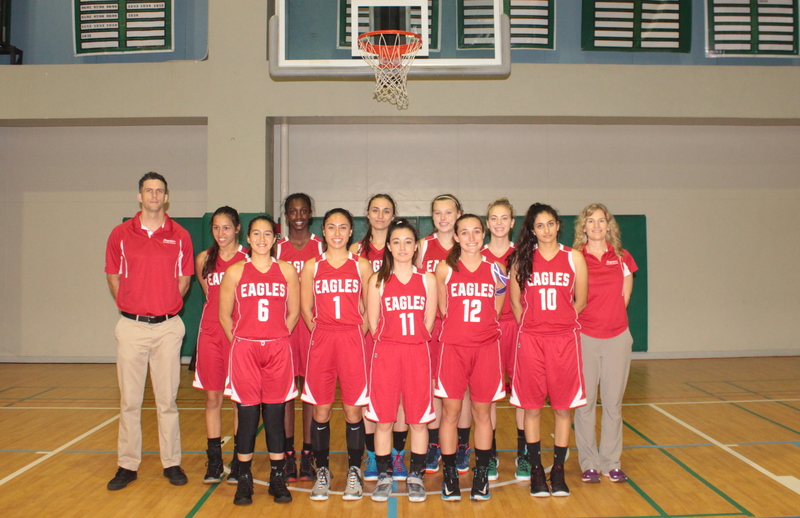 Perhaps their close-knit bond and great team dynamics are the reasons that they play so well on the court as well. 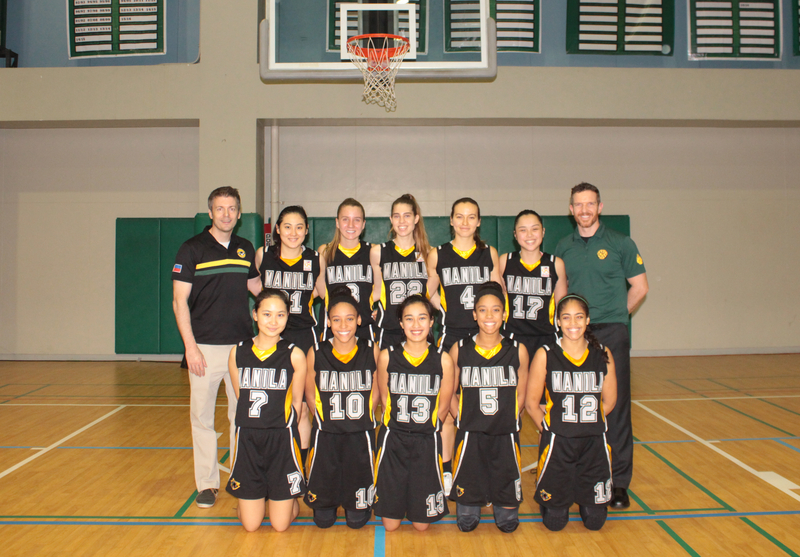 Their positive energy is reflected on the court.They display a spirit and zest that are unique to the TAS basketball team and are definitely a team to look out for! They undoubtedly have the drive and passion that make a successful team.